Healthier Pumpkin Recipes: Lower Your Sugar Intake with These Recipes! It’s fall and it’s officially pumpkin season! But pumpkins are not just for carving; you can find a pumpkin recipe for every meal. If you’re like us, you love pumpkin in everything from muffins, to coffee, in soup, and of course pie. We hardly talk about all the nutritional value in pumpkin. Pumpkins are packed with antioxidants and vitamins-A, C, and E. A healthy dose of pumpkin can help lower your cholesterol and assist in weight loss. The problem with a lot of pumpkin recipes is the high sugar content. So we gathered two pumpkin recipes that are easy to make and but won’t increase your waistline. Ditch the Store-Bought Latte for This! Most pumpkin latte you buy in the store contains a lot of sugar. Your average 16 oz. pumpkin latte has almost 50 grams of sugar and 420 calories! And according to the American Heart Association your intake of sugar should be 37.5 grams for men and 25 grams for women daily, so you see how your favorite average pumpkin latte can cause a problem. Don’t fret! We have a healthy alternative that you can make at home with less sugar, making it easier on your waistline AND your wallet. Yummy! Plus this pumpkin latte has less sugar. 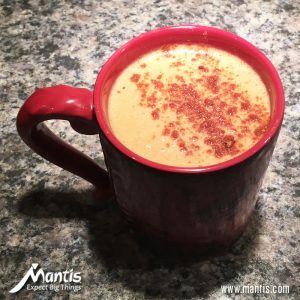 Combine milk, pumpkin puree, maple syrup or stevia, and pumpkin pie spice in a small saucepan over medium heat. Constantly stir the mixture so it becomes frothy. Once the mixture begins to simmer, turn off the heat. Transfer the milk mixture to a blender and add the coffee. Be very careful here! Blend the mixture for 10-20 seconds until you see the mixture froth. If you don’t have a blender, you can just add the milk mixture to coffee in a large mug. Stir the coffee and pumpkin mixture well. Top your pumpkin spice latte with a little bit of cinnamon and then enjoy! 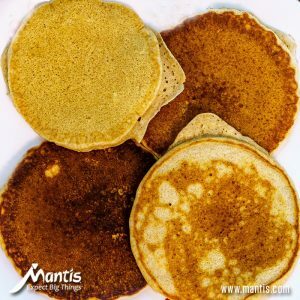 Protein Pumpkin Pancakes can keep you full for hours. The recipe is easy;to prepare the batter all you need is a blender. This recipe makes two servings, however keep in mind they’re really thick and so filling. These pumpkin protein pancakes are SO filling! 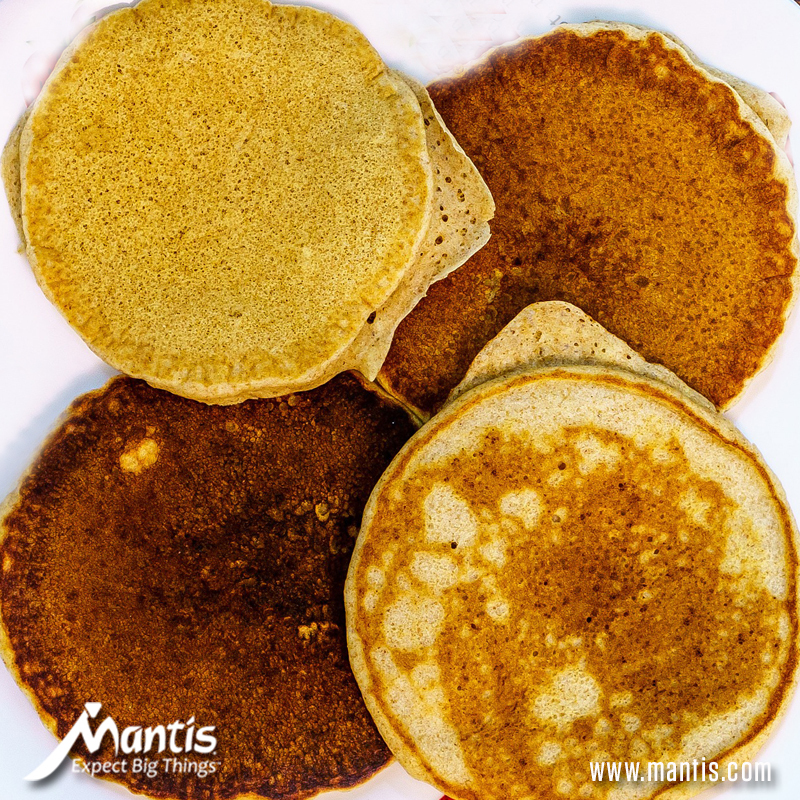 Pour all the ingredients in a blender and blend on high until you get a pancake light batter. Use cooking spray or oil (you can use coconut oil or vegetable oil) in your frying pan; heat over medium heat. Once the oil is melted, pour the batter into the pan using 1/4 cup for each pancake. Good rule of thumb: Flip pancakes after bubbles rise to surface and bottoms brown. Cook until both sides are lightly brown and then serve hot. You can top your pancakes with maple syrup or top with almond butter! By the way, these pancakes freeze well. Pumpkin Recipes with Low Sugar! Both pumpkin recipes we feature are low in sugar and keep you full for a long time. Pair them together and enjoy a good hearty breakfast that keeps you full. With both recipes you can use pumpkin puree, but why not plan to grow pumpkin it in your garden? Pumpkins are easy to grow. What! You don’t have a garden? Click here to learn how to create one! I would like to buy a tiller, but they are too expensive. Do you have any used or reconditioned models available, or one that has a scratch or some defect you’d sell for less?